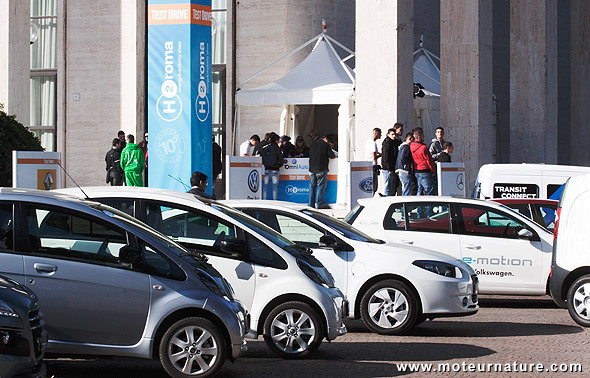 Once again, H2 Roma has shown Italians the latest electrics and hybrids, with something new this year as the main idea behind the show was “Efficienza e sostenibilità: dalla Ricerca al Mercato” (efficiency and sustainability, from research to market). That isn’t true in every country yet, but at least it’s getting real in Italy. The attendance of several dealers was new and welcomed. Everybody agreed that there’s still long way to go, particularly regarding electric cars, but everyone could see that things are moving in the right direction, with some hybrids now showing good sales potential. The Nissan Leaf is not yet available in Italy. It’s only possible to pre-order the car, but the manufacturer has published a list of the 11 carefully chosen dealers which will be selling it. We note that 11 dealers for the whole country isn’t much. 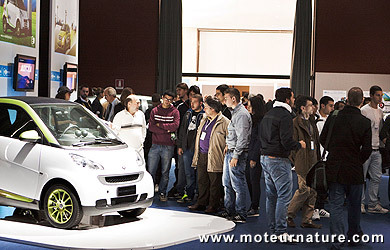 Next to the Leaf, the Peugeot Ion is available immediately, tough pricey at 36,255 euros. Both electric models from Renault, the Kangoo and the Fluence, will be in a few weeks, and it was possible at the show to order a Twizy (from 6,990 euros, battery not included) with delivery within 3 months. On the plug-in side, both the Opel Ampera (the European version of the Chevrolet Volt) and the Prius plug-in were on display, they’ll be available early next year. An unpleasant surprise was the absence of Fiat in these new technologies. Fiat had a stand with a shiny new Panda, but there wasn’t any electric model around. Quite surprising considering an electric 500 is expected sometimes next year. Volkswagen did more: the Germans had brought an electric Golf. Only a prototype, but quite a few of them are currently in test in Germany. There should be many more of them within 2 years. Without Fiat, the only 100% Italian car on display was this ENEA Urb-e prototype. Not a real car, it was built by students on a budget, and was quite impressive considering how little money was behind it. 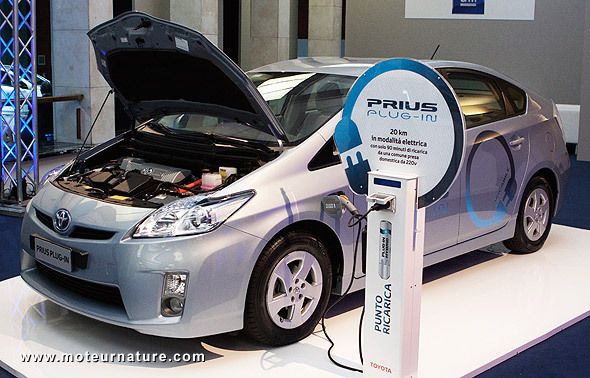 It’s a hybrid vehicle which can reach 43-mph with a 78 to 113-mpg fuel economy. 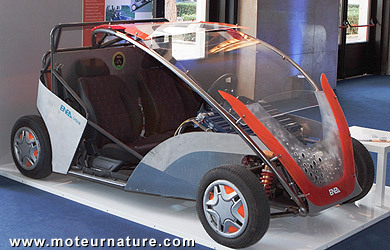 It can also drives 1.25-mile on its tiny battery, but that is clearly not enough. 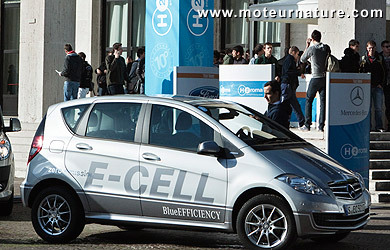 We hope to see a real Italian electric car at H2 Roma next year. A Fiat!